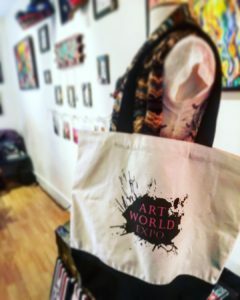 Art World Expo coming next May, 2017! You are here: Home | Artists | Art World Expo coming next May, 2017! Company Description will be used for promotional purposes via MAB Ventures Inc. Website and Social Media Sites including sites and releases of Affiliates, Partners, and Sponsors. Facebook, Twitter and Promotions to various media will also be used. Exhibition fee payable by Interac Transfer, Visa, MasterCard, Debit or Cash. No late payments accepted. No Paypal or Postdated Checks. Monika Blichar’s vision of an environment where creative entrepreneurs and artists from around the globe could showcase and sell their work while engaging with the community is really coming full force with her annual production of Art World Expo TM. 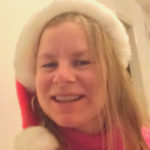 Originally from Poland, Monika has an evident and immense passion for all things arts and culture. Her love for working with the community in various arenas has allowed her to complete a B.A. in English and French, teach Kindergarten through grade 12 in both Public and Private Schools in B.C., work as an Artistic and Event Producer and become CEO and Founder of MAB Ventures Inc., an Arts & Entertainment Agency. Produced by MAB Ventures Inc. and in support of Make and Break Arts Foundation. We support local artists and strive to give them the best opportunities to show and sell their work. We also love to engage the general public with opportunities to interact with artists of all sorts at this one of a kind event and annual showcase featuring an array of out of the box artists. Everything from live artists working onsite to live music, fashion, interactive performances and our world famous body painting and special effects make up competition are found at our shows! MAB Art Studio & Boutique Gallery is located in the heart of North Vancouver. We offer professional and experienced associates who will service all of your artistic needs. Whether you are in need of an original painting for your home or office, a forum to display your work, or are in search of a full service event planning team, our motivated and inspirational artists and entrepreneurs would be pleased to assist you with your every artistic vison and venture. Finally, what kind of Artist are invited?